This card is available as a downloadable PDF file. 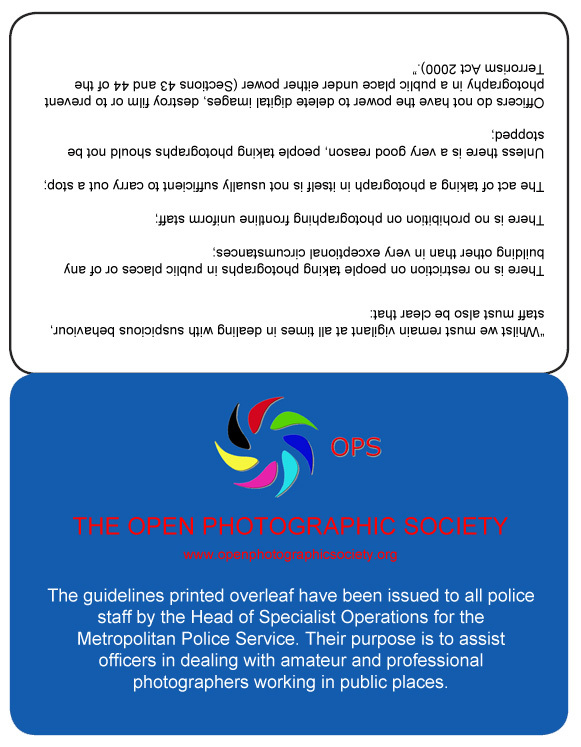 Click the link to download the file, print the card on photographic paper, fold along the central line and keep it handy in your camera bag. If you are challenged by a police officer (or PCSO) whilst taking photographs in a public place, it may help to show the card (tactfully). Always remain polite and co-operative - you do not want to risk arrest for abuse or obstructing a police officer!